Map of disaster alerts in the past 4 days. European Union, 2015. Map produced by EC-JRC.The boundaries and the names shown on this map do not imply official endorsement or acceptance by the European Union. The blurred events in the list below are the past events before last 4 days. Heavy rainfall has been affecting eastern South Africa over the past few days, causing floods and landslides, which have resulted in casualties and damage. The most affected area is the province of KwaZulu-Natal, particularly the port city of Durban. According to media reports as of 24 April at 8.00 UTC, 33 people died due to floods and mudslides, 23 in Durban city and ten in other areas. Dozens have been reported injured, buildings collapsed, roads flooded and the electricity supply damaged. Search and rescue operations are ongoing and focused on looking for more survivors under the rubble of collapsed buildings. Over the next 24 hours, heavy rain with thunderstorms are forecast over affected parts of the KwaZulu-Natal and northern areas of the Eastern Cape Province.Flood warnings are in placed over eastern and south-eastern areas of the country. A landslide occurred in a jade mine near the Maw Wun Kalay village in Hpakant township (Kachin State, northern Myanmar) causing fatalities. 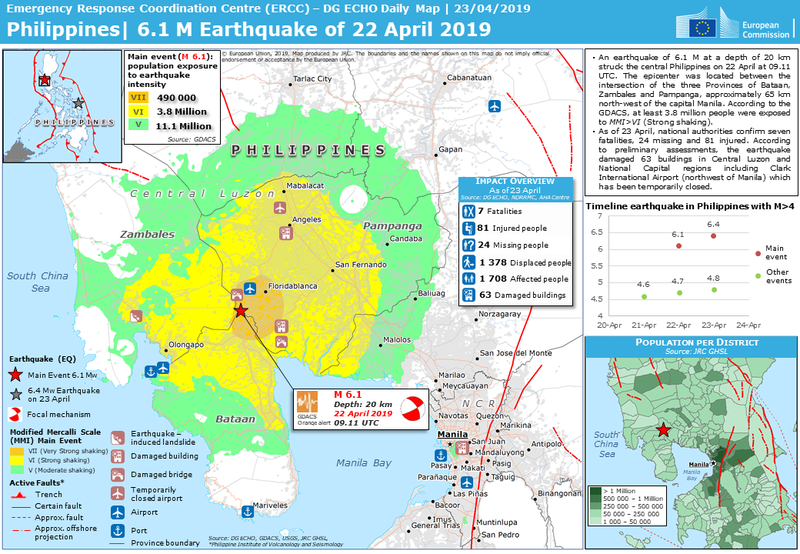 According to media reports as of 24 April at 8.00 UTC, at least 54 people have been buried, search operations are underway and five dead bodies have been recovered from the mud. Over the next 24 hours, moderate rain is expected over northern Myanmar. 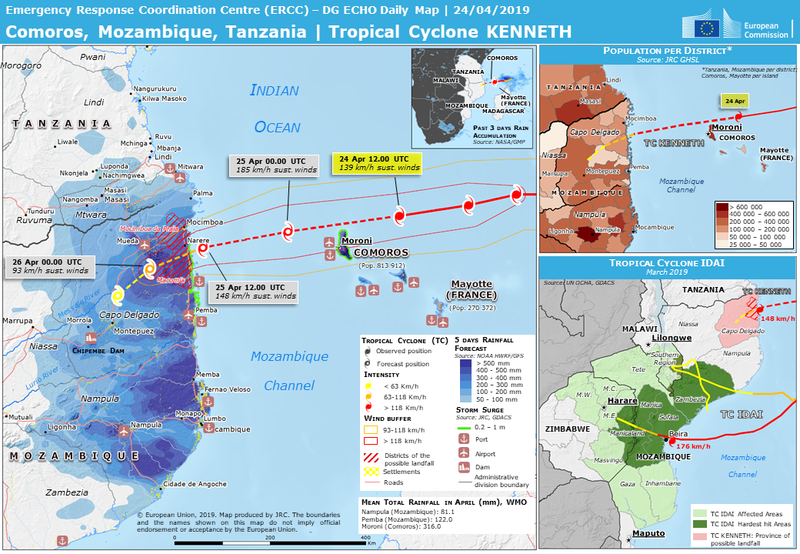 Tropical Cyclone KENNETH is strengthening towards the Comoros Islands. On 24 April at 0.00 UTC, its centre was located approximately 270 km north-east of Ngazidja Island (Comoros) and 350 east north-east of Grande Comore Island (Comoros), with maximum sustained winds of 120 km/h. It is forecast to strengthen, passing near Grande Comore on 24 April afternoon/evening with maximum sustained winds up to 190 km/h. It is predicted to continue west, making landfall in Capo Delgado Province (northern Mozambique) on late 25 April, with maximum sustained winds up to 160 km/h. 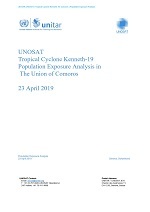 On 24-26 April, strong winds, heavy rainfall and storm surge are expected to affect the Comoros archipelago (in particular Ngazidja), Mayotte, northern Mozambique, southern Tanzania. A yellow warning has been issued by Comoros National Authorities. 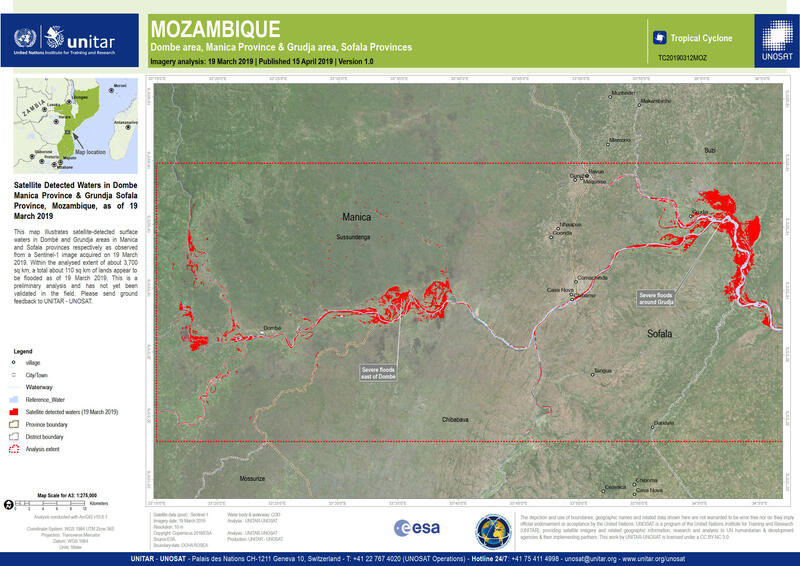 In March, Mozambique was severely impacted by the passage of Tropical Cyclone IDAI, which caused more than 600 fatalities in the country, as well as extensive damage across Mozambique and neighboring countries. Following the severe weather which has been affecting several regions of the country, the person, reported missing due to the flood of Pavone river in Castelnuovo Val di Cecina municipality (Pisa province, Tuscany Region), was found dead in the morning of 24 April, following the rescue operations, which had been immediately activated. Over the next 12 hours, moderate rain is expected over the northwestern regions of the country. A new intensification of the events is expected from tomorrow afternoon over the same regions. Heavy rainfall has been affecting central Uganda over the past few days, causing floods which have resulted in fatalities. According to media reports as of 24 April at 8.00 UTC, 15 people are dead and 100 displaced in Buyende District. Over the next 24 hours, moderate rain is forecast in the affected area. An earthquake of magnitude 5.9 M at a depth of 14 km hit north-eastern India on 23 April at 20.15 UTC. The epicentere was located approximately 33 km north-northwest of Along town (Arunachal Pradesh State). USGS PAGER estimates that up to 3 000 people were exposed to very strong shaking and up to 15 000 to strong shaking. According to media reports as of 24 April at 8.00 UTC, no casualties or damage have been reported. Over the next 24 hours, moderate rain is forecast over the affected area. Following heavy rainfall and landslides in south-west Colombia, the number of fatalities has increased. As of 24 April at 8.00 UTC, media report that 29 people are now dead in Rosas (south-western Cauca Province) while three are still missing. Search and rescue operations are ongoing. Access to the Panamericana highway connecting Quito to Cali remains restricted. Moderate rainfall is forecast for central Cauca Province, while several red alerts have been issued for landslides for the neighbouring municipalities of El Tambo, Timbiqui, Mocoa in Cauca. Satellite Mapping overview 22 Apr 2019 04:34 UTC.